Some easy peasy Easter recipes to make with kids. Earlier this week we had a lovely time with some of our favourite little friends making these simple chocolate Easter nests that have become an annual tradition in our house. 200g of melted chocolate, mixed together with 2 tablespoons of peanut butter and a packet of Chang’s Oriental Fried Noodles, spooned onto some baking paper. Place some Cadbury mini eggs on top to look like little eggs in a nest and pop it in the fridge to set and your done! We made these little Easter chocolates earlier this week when my 2 year old niece came over. It is as simple as pouring melted chocolate into a mould. We used vintage moulds that I kept from my childhood to make these. Here is the detailed tutorial that we made last year. 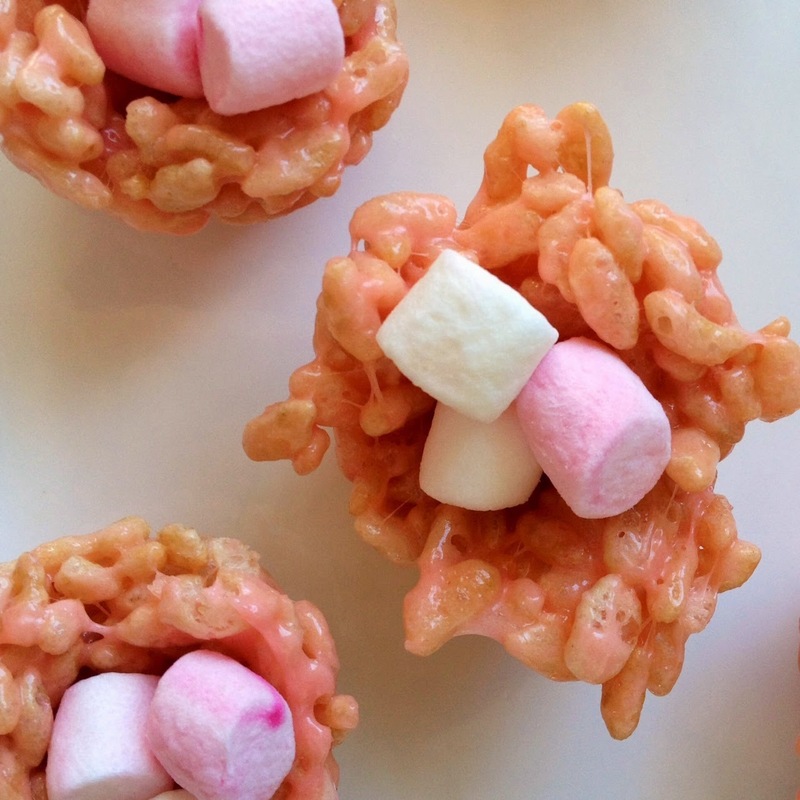 Another twist on the Easter nest are these scrumptious looking marshmallow nests made by my clever friend Lucy the Kitchenmaid containing only rice bubbles, marshmallows and butter. My kids would love these! While we are on the topic of Lucy and her delicious recipes, she also shares the recipe for this deliciously beautiful homemade chocolate marshmallow egg over on her blog. This one does look ever so slightly trickier and is probably one for the adults to attempt, but looks oh so worth it! 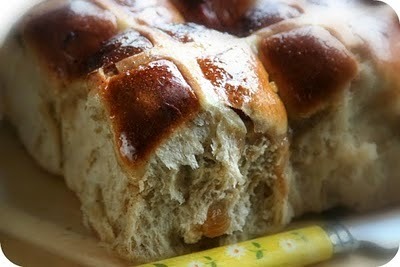 These hot cross buns from Cathie of Melbourne Epicure also look delicious and fun to make with the kids. Along with the recipe, she also includes how to make them egg and dairy free. Do you have any Easter recipes that have become an annual tradition at your house? This post is part of an Easter series. 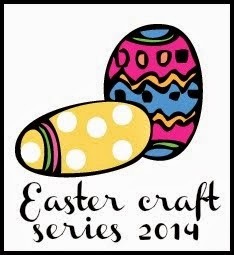 For more Easter crafts and recipes, click on the image below. All simple activities that will keep you & your kids busy over the school holidays right up until Easter Sunday.